So, you’ve created a YouTube channel for your company, filled in all the essential details, and added some branding materials. You might have even uploaded your first few videos. However, there are still a few ways you can optimize your YouTube brand account for maximum effect. Succeeding on YouTube isn’t just about uploading videos – although the quality and consistency of your content certainly matters. It’s also about designing your channel to be as compelling and useful as possible to your audience. In addition, there are some behind-the-scenes tasks you can attend to that will enable you to better manage your account. In this article, we’re going to assume you already have a YouTube brand account set up and ready to go. Now we’ll offer some advice about how to optimize it, so it stays effective and manageable as it grows in popularity. Anyone who’s spent a decent amount of time on YouTube has likely run across the playlists feature. This functionality lets anyone with an account organize videos into collections, which other people can then access and watch all at once. Using playlists to organize your content – essentially separating your videos into distinct subjects, genres, or types. Promoting important content by creating a “best of” playlist and featuring it prominently. Providing extra value to your visitors, by building playlists made up of other people’s videos. The last point here merits a bit of explanation. You don’t have to only create playlists using your own videos – you can use your company’s content, that of other users, or a mix. 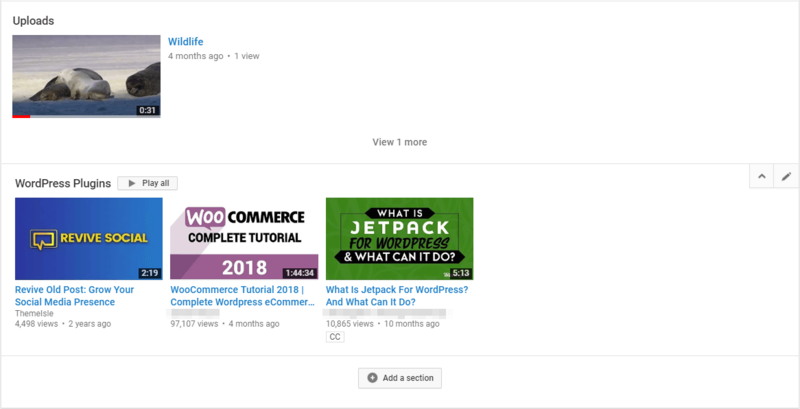 Compiling excellent and useful videos into playlists and sharing them with your visitors is a smart way to improve your authority and strengthen your channel, especially when it’s brand new. Just keep your target audience’s needs and interests in mind when collating external videos this way. This lets you enter a name for your playlist. Since this will be seen by your audience, make sure it’s descriptive and not too long. Then, set the Privacy option to Public, and select Create. This will set the video’s featured image as the thumbnail people see when they view the playlist. You can simply use the first video, or pick an image that’s particularly compelling (or represents the focus of the playlist). That’s it! You can put together as many playlists as you like, and they’ll all be automatically featured on your channel. However, you may also want to organize the playlists themselves – which is part of what we’ll be talking about next. If you’ve read some of our earlier YouTube-focused posts, you know how to set up your channel and add some basic branding imagery to it. You’ll even know a thing or two about attracting new subscribers. However, what you might not realize is that you can make certain changes to your channel’s layout. While you can’t drastically alter the appearance of your YouTube brand account, what you are able to do is organize it. This is a more important option than you might first realize. By default, visitors to your channel will simply see a list of your videos in chronological order (with the most recent uploads first). This is fine if you don’t upload much content, or if you want your visitors’ focus to always be on the latest upload. Once you have a lot of videos and playlists, however, you may find this simplistic layout lacking. It doesn’t enable you to put the focus on specific content, for example, or easily show off everything your channel has to offer. Selecting this enables you to create a channel layout consisting of various sections. You can choose exactly what goes into each section, and how they’re all organized. This feature provides you with a great deal of control over your YouTube brand account’s appearance. We recommend experimenting with different layouts, to see what attracts the most attention from your user base. Plus, you can change things up from time to time, in order to attract more views to whatever content is most important to your business. While the previous tips have focused on the front end of your channel, this one is more practical in nature. Attracting lots of attention to your content and organizing it clearly is all well and good. However, as your channel grows, you’ll also need to pay attention to the way it’s managed. You’ll notice that throughout this article, we’ve been referring specifically to a YouTube brand account. In many ways, this is identical to a regular account, and it’s just as easy to set up. However, it’s connected to your company rather than to an individual user, and provides you with access to a few special features. 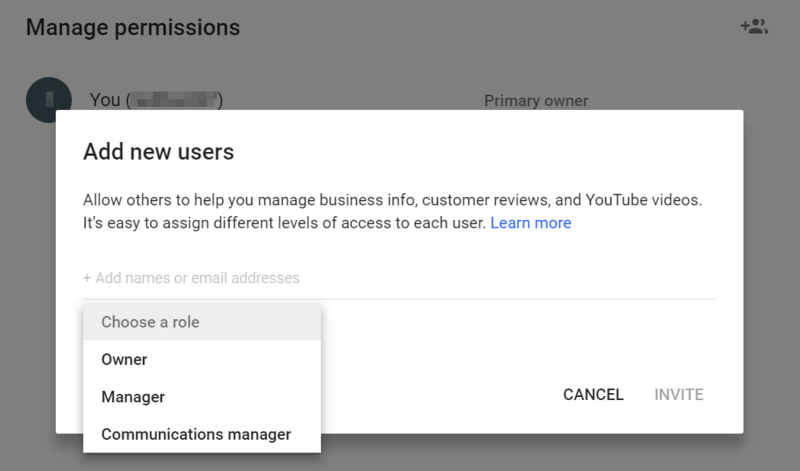 In particular, a YouTube brand account lets you permit more than one person to manage your company channel without giving them access to your personal Google account. 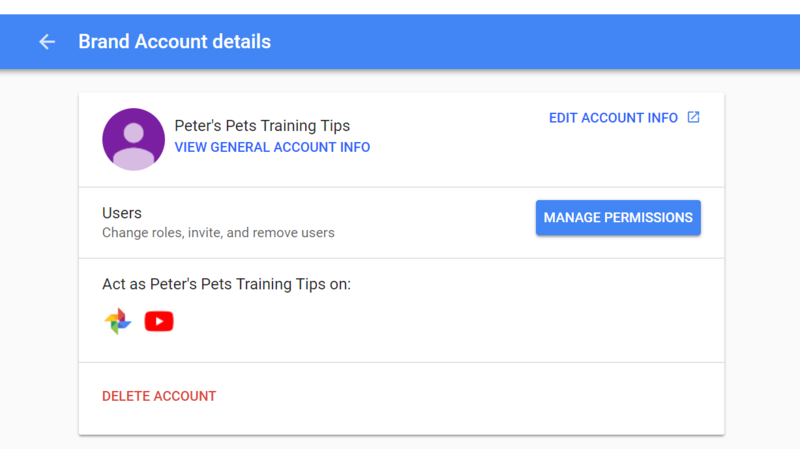 Everyone on the team can use their own Google account to access the channel. This is incredibly useful, especially if you have (or hope to build) a thriving YouTube channel. The work involved may become too much for one person to handle. Having multiple team members responsible for the channel enables you to upload content more frequently, divide up responsibilities, and make sure it can keep going strong even when someone is busy or ill. Here, you’ll see a list of the currently-approved users, which at the moment is probably just you. To add your team members, select the Invite new users icon in the top-right corner. Owners can do anything they like on your YouTube brand account, including changing its layout and settings. Managers, on the other hand, can take basic actions such as posting new videos. The third option, Communications manager, is not actually relevant to YouTube – so you can safely ignore it. Hit Invite when you’re done here, and the new user will be able to access the brand account once they’ve accepted your invitation. In general, it’s best to keep the number of owners very limited, to maintain account security and avoid having multiple people make contradictory changes. Then, a handful of trusted managers can round out your YouTube team. Finally, it’s worth noting that under the same Manage permissions menu, you can edit a user’s role or remove them. This is handy for keeping your list of approved managers up to date at all times. Like many content sharing platforms, YouTube is very easy to get started with. Setting up an account takes a few minutes at most, and you can start uploading videos right away. However, if you’re hoping to expand your business’ presence and reach through a YouTube brand account, you’ll want to take your time optimizing it to ensure success. Create custom playlists, to encourage more views and provide extra value to you audience. Customize your channel layout, organizing your content and making the most important videos prominent. Add new channel managers, so your employees or team members can help you keep it running smoothly. Do you have any questions about how to create a strong YouTube channel for your company? Let us know in the comments section below! 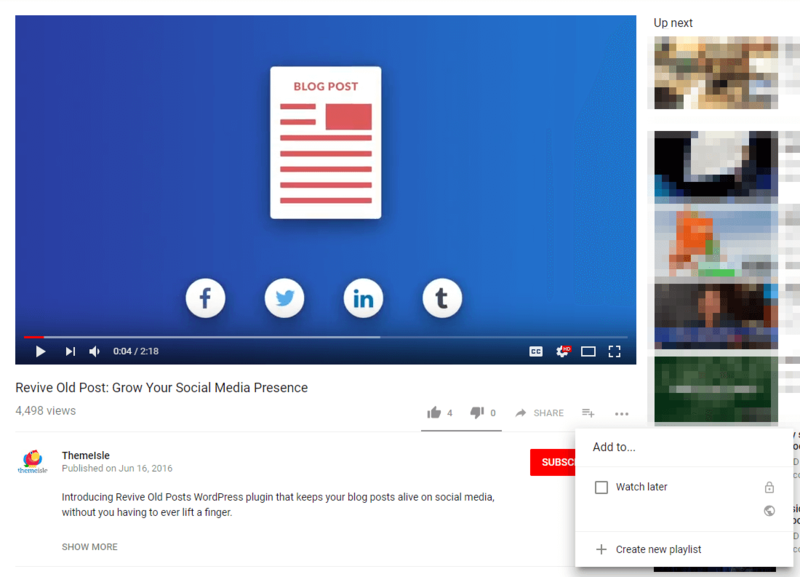 The post 3 Ways to Organize Your YouTube Brand Account to Improve the Viewer Experience appeared first on Revive Social.